For a small percentage of the world, perfection simply isn’t enough. They never stop improving, never cease challenging themselves, and never tire of searching for the pinnacle of excellence. For this breed of the cultured elite, Cabot Guns now offers perfectly inverted matching 1911 pistol sets - fully customized to the exacting specifications of our clientele. When you commission a matched set of collector grade Cabot 1911’s we pull fresh billet steel from our reserves and begin work on another pair of our master creations. 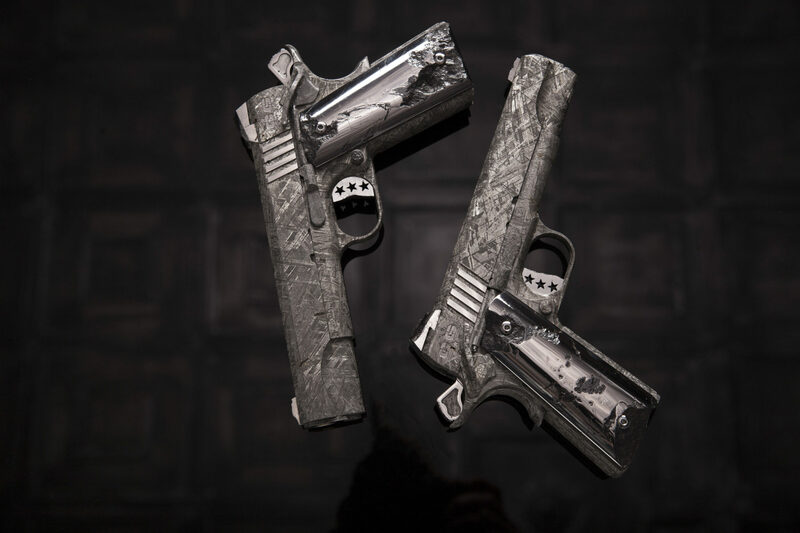 Your set is fully customizable, not only with any of the 100% interchangeable parts of our entire Cabot Guns 1911 line, but also with any client-specific engraving or etching you may desire. 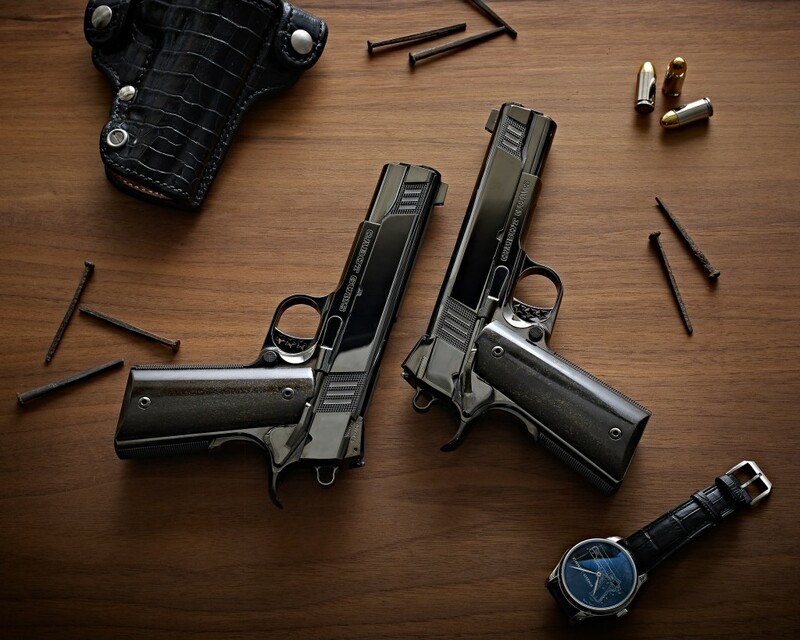 Pistol sets are available in left and right handed pairs such as the S100 and S103 models with pricing starting at $7,700. Our museum quality deluxe pistol sets such as the Jones Deluxe or National Standard Deluxe complete with custom french fitted cases are also available in the mid $20,000 range and have very limited availability. Bespoke commissions that include precious metals, engraving and Damascus are also available. Read a review of a Cabot Guns mirror image pistol set by industry expert S.P. Fjestad’s by clicking here. Interested in your own Cabot Mirror Set? Call 855-THE-1911 or fill out the form below to begin.